Anza is a Tanzanian organisation headquartered in Moshi, Tanzania. 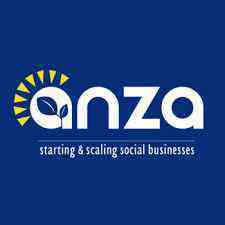 Anza provides entrepreneurs the capacity, capital and community they need to thrive via our core services – Anza Accelerator, Growth Fund and Kili Hub communities. Our work focuses specifically on assisting entrepreneurs to strengthen their operations, increase profitability, and scale their impact to create more jobs and improve access to underserved markets. We have openings for 6-12 weeks volunteer opportunities in Moshi/Arusha. We’re looking for post-graduate business students and experienced professionals who are willing to donate some of their time to contribute to the growth of the SME sector in Tanzania. Enthusiasm, team spirit, interest in entrepreneurship and eagerness to become a changemaker in the local community are a given! This is a general opportunity description. Depending on your field of expertise, personal interests and internal requirements, these are some of the tasks you could be engaged with. • Strategy: define business models, write business plans, develop project implementation roadmaps, run market research and competitive intelligence, etc. • Marketing & Sales: develop client acquisition strategies, determine and implement new marketing initiatives, craft pricing strategies, develop sales pitch, prepare social media content, define brand image and website design, etc. • Finance: implement accounting systems, develop financial models, prepare for investors meeting, train on basic bookkeeping and accounting practices, etc. • Operations: streamline workflows, implement cost reduction strategies, improve supply chain management, develop monitoring and evaluation frameworks, create operations manuals, define distribution strategies, etc. Please note that you might be paired with some of our entrepreneurs, asked to work as an internal advisor to Anza or both depending on current needs.